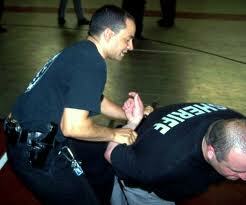 ​Learn the Tactical Skills of Law Enforcement. United States Taiho Jutsu is one of USJJF's National Programs..! 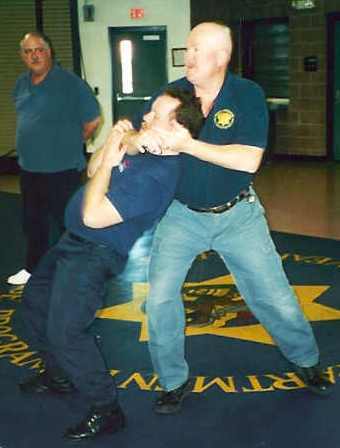 The Police Self-Defense Instructor (PSDI) Program was a program formerly under the United States Karate Association and now reconstituted under the United States Ju-Jitsu Federation (USJJF). 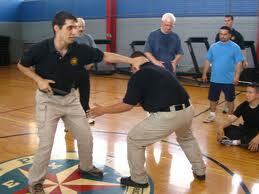 USJJF's National Program of Defensive Tactics for Law Enforcement is now known as UNITED STATES TAIHO JUTSU (USTJ) tm. 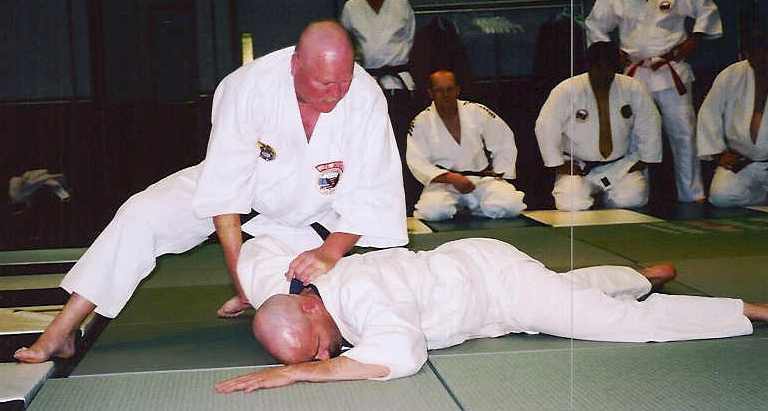 This program was headed originally by our Founder, George Anderson and under his guidance and with the help of many of the former members of the old PSDI lives on in the USJJF. We invite members of the Martial Arts & Law Enforcement Community to join us in this important endeavor by submitting articles on Self-Defense and the Martial Arts as they relate to Law Enforcement. Our plans for the future include, Instructor Certification Seminars, Self-Defense Clinics for Law Enforcement officials, the standardization of an approved course of instruction, videos and other publications. If you would like to help make this happen, please contact the USJJF National Headquarters. Be sure to include your phone number and information about your law enforcement background when contacting us. TAIHO JUTSU (Arresting Art) is a term for martial arts developed by Japan’s feudal police to arrest dangerous criminals, who were usually armed and frequently desperate. While many taiho-jutsu methods originated from the classical Japanese schools of kenjutsu (swordsmanship) and jūjutsu (unarmed fighting arts), the goal of the feudal police officers was to capture lawbreakers alive and without injury. Thus, they often used specialized implements and unarmed techniques intended to pacify or disable suspects rather than employing more lethal means. ​Many traditional Japanese martial arts schools once included elements of taiho jutsu, although most have since been lost to history. A number of taiho jutsu techniques have survived, though, and are still taught and practiced in their original forms by specialists in jūjutsu as well as kenjutsu and iaido (swordsmanship). The modern version of Taiho-Jutsu was created during the Allied occupation of post World War II Japan. Japan was being demilitarized, the practice of the martial arts had been prohibited, and the Japanese police force was unable to cope with the outbreaks of violence during that period. The Tokyo police bureau convened a technical committee headed by kendoist Saimura Goro; judoist Nagaoka Shuichi; Shimizu Takaji, the twenty-fifth headmaster of the Shindo Muso Ryu; Otsuka Hidenori, founder of the Wado Ryu; and Horiguchi Tsuneo, a pistol expert. This committee reviewed the techniques of classical kenjutsu, jujutsu, andjojutsu, and adapted several techniques from each of these disciplines for police use; the committee also selected techniques from modern disciplines, such as jujutsu, karate-jutsu, kendo, and judo, for incorporation into the proposed system of self-defense; and further ideas were gained from a study of Western boxing. A system comprising these elements and called taiho-jutsu was created in 1947, and Taiho-jutsu Kihon Kozo (Fundamentals of Taiho-jutsu) was published as an official manual for policemen. Taiho-Jutsu was introduced to the U.S. when the Strategic Air Command began sending combative measures instructors to the Kodokan in Japan for eight-week training programs. The course was a Japanese-designed mix of Judo, Karate, Aikido and Taiho-jutsu. 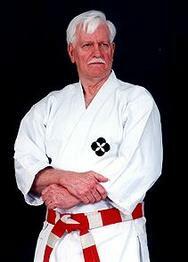 Kodokan officials contacted the JKA to manage the karate instruction. The JKA responded by sending Nishiyama, Obata, Okazaki, and Terada. Judo instruction was provided by Kodokan greats Kotani, Otaki, Takagake, Sato, Shinojima, and Yamaguchi. Aikido instruction was led by Tomiki, along with Yamada and Inuzuka, while the instruction in Taiho-jutsuwas given by Hosokawa and Kikuchi. The SAC airmen attended class at the dojo for 8 hours a day, 5 days a week, and at the end of the course had to compete against and be evaluated by ten Black Belts. Upon returning to the United States, these airmen became instructors at every SAC base where it was important to develop combatives courses for crewmen in training. Taiho-Jutsu has had several revisions since 1947 and is still studied and examined in order to bring in refinements and adapt it to new conditions of street fighting. It makes great use of Keibo, a short police baton, in a range of techniques called Keibo-soho, as well as the extending tubular baton (Tokushu Keibo) which was adopted by the Japanese police in 1966.